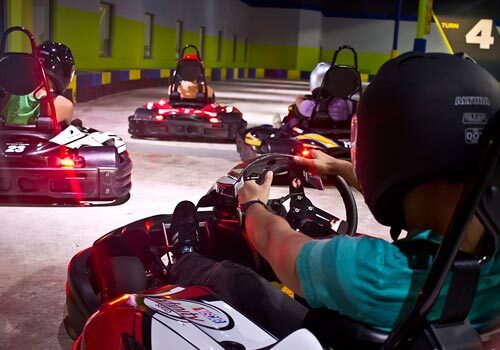 Head to I-Drive Indoor Kart Racing for an epic, state-of-the-art racing experience. 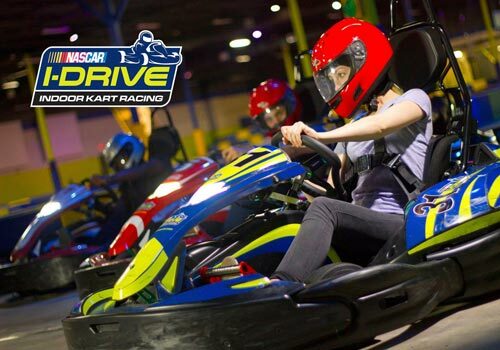 Boasting eco-friendly electric karts, the I-Drive NASCAR facility allows you to compete with others as you race up to speeds of 45 mph. The track features 12 turns and 3 hairpins, along with other features, to keep you entertained and challenged throughout your race. The venue also offers bowling, games, and more. Closed-toe shoes are required. Shoe rentals are available. 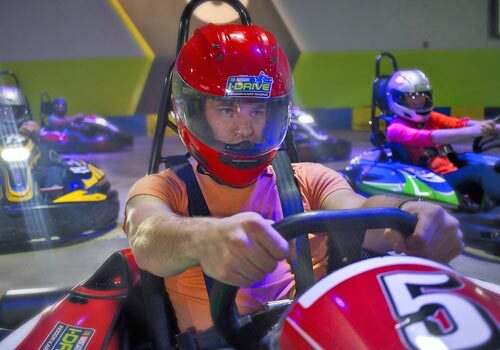 Follow all safety and racing instructions while driving. Drivers must be 55 inches or taller. Race rain or shine in an indoor, climate-controlled facility. I-Drive NASCAR offers an onsite restaurant for guests. 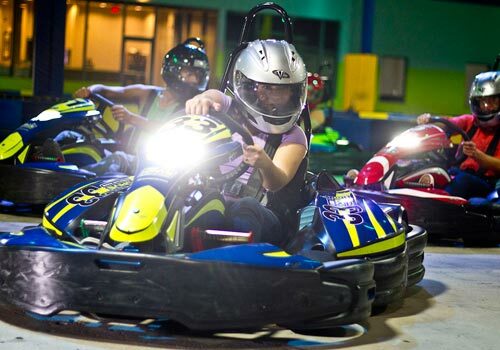 The first upscale indoor racing facility bringing a whole new family entertainment dynamic to Orlando, FL. 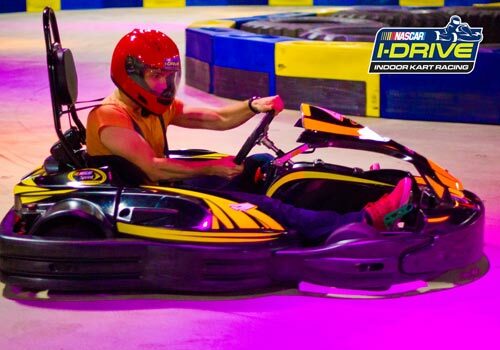 I-Drive Indoor Kart Racing is an entertainment complex which includes the most sophisticated, state-of-the-art, eco-friendly electric karts. 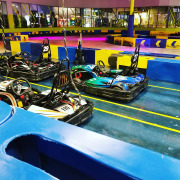 In this amazing venue, visitors can challenge themselves and also have an exhilarating and pleasurable experience competing with each other reaching speeds of up to 45 mph. Our indoor location also includes a variety of fun for diverse taste, such as bowling, gaming, meeting rooms and restaurant. We offer an exciting and comfortable infrastructure for your group of family and friends, corporate events, birthday parties or any special celebration. Rain or shine, the fun is guaranteed in a climate controlled environment. 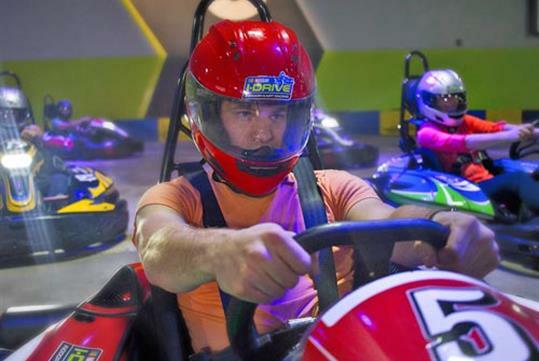 This new high-speed attraction is located adjacent International Drive in Orlando's tourist district. Yes. However, children must be 55" or taller to race. Do I need to bring my own helmet or headsock? No. Helmets and headsocks are provided for racers. Racers must wear closed-toe shoes. High-heels, flip-flops, sandals, or slide-on shoes are strictly prohibited. Shoe rentals are available onsite. Racers cannot wear dresses or skirts while racing, as well. What safety measures are in place for racers? 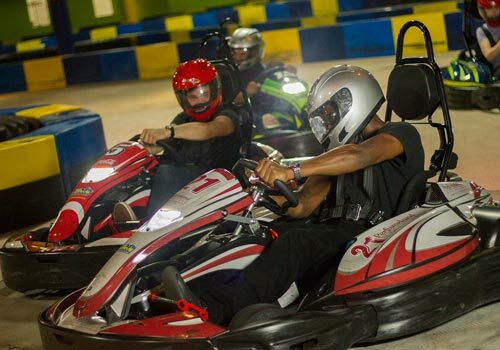 In addition to safety equipment including a helmet, racers are taught the rules of the track prior to racing. Track attendants are positioned throughout the course with color-coded flags, each corresponding to specific signals and rules for the track. Guests who do not follow the instructions and signals will be asked to leave. Sunday through Thursday from 12:00 pm to 10:00 pm, and Friday through Saturday from 11:00 am to 12:00 am. Does the facility have food for sale? Yes. 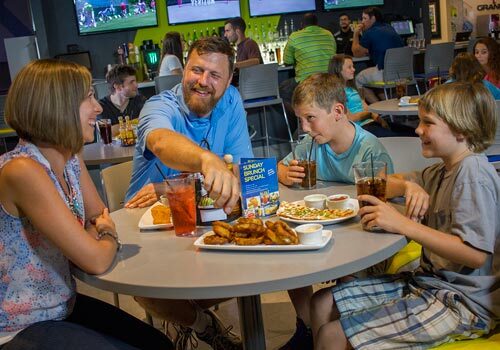 The I-Drive NASCAR Restaurant is onsite for guests to enjoy, serving a variety of meal choices. Are there other activities besides racing? Yes. The facility also offers bowling, arcade games, and other activities.